If there’s one thing New York women always find the time for during their workweek and weekend hustle (besides brunch, obviously) it’s pampering. 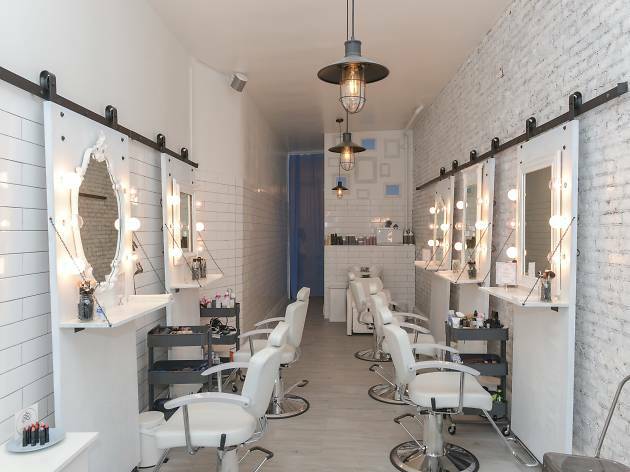 Sure, putting a blowout, haircut, makeup touchup and brow shaping on the books sounds like a dream on paper, but committing to four separate appointments at beauty lounges across the city when time is limited usually turns into a grueling spat between you and your daily planner, right? 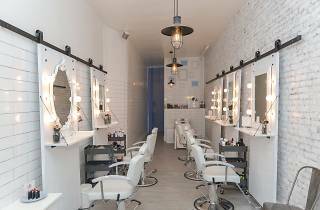 Prepare to cancel all of your services, ladies—there’s a beautifying beacon evoking bliss in the East Village, and it’s a game-changer for your beauty regimen and your calendar, too. Sitting in one of the reclining chairs inside the rustic, French-inspired lounge (with a comped glass of wine in tow) while chick-chatting with the fiercely-cool staff feels like a breath of fresh air compared to Joli’s not-as-chill competitors. In fact, the one-stop shop is so customer-friendly it caters to your every need. Want to host a birthday party, bridal shower or any other special event? There’s an intimate but lovely space in the back for getting all glammed up. And since the vintage mirrors are mounted on rolling doors, the space can go from edgy-chic beauty bar to a roomy party hub in a matter of minutes—like magic. But the true charm, however, lies in the services. Joli has hand-picked a team of front-runners in the industry who are masters of their craft. They won’t just make you look put-together—you’ll walk out as a drop-dead-stunner. We recommend booking the Approachable Perfection ($60), a full-face makeup application with high-quality silk Lashes ($15), followed by a Perfect Set ($35), which is a heat-driven hair styling without the wash. If you’re afraid you’ll look like Mimi from The Drew Carey Show, fuggetaboutit. Your makeup artist lets you pull beauty inspiration from Pinterest and focuses on highlighting your natural features to guarantee you look exactly—if not better—than you imagined.